The exercise of the court’s admiralty (in rem) jurisdiction over a ship in Hong Kong waters is set out in section 12B of the High Court Ordinance (Cap. 4) (the "Ordinance”). That jurisdiction and section are not always easily understood without a careful read and some experience. In rem jurisdiction is to be contrasted with claims in personam or pursuant to specific statutory provision. (ii) the beneficial owner of any other ship (a “sister ship”) in respect of all its shares. One can immediately see that the concept of “beneficial ownership” is an important component to the exercise of the court’s in rem jurisdiction, pursuant to section 12B(4) of the Ordinance. In this context, “beneficial ownership” means title to property (namely, the right to sell or dispose of a ship) and not mere control or administration or a right to the proceeds of sale (The Convenience Container  3 HKLRD 575 at paras 15–48). In many cases registered owners are one-ship companies that are both legal and beneficial owners (irrespective of whether the shares in the company are held by different persons or on trust for others). How Do You Confirm Beneficial Ownership? In this context, one normally looks no further than the Shipping Register of the port of registration of the ship in question. In The “Almojil 61”  HKEC 1076 and 1077, a party which was not the registered owner claimed to be a beneficial part-owner (22 percent) of the vessel arrested. However, applying established legal principles, the court held that it was not necessary to go behind a ship’s registration to establish beneficial ownership, save for exceptional or special circumstances; such as where registration was procured by fraud or ownership was changed in order to avoid an arrest. Therefore, a ship’s registration is usually conclusive of her legal and beneficial ownership. 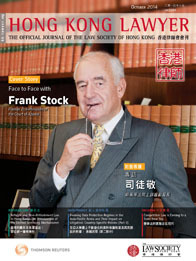 A co-owner of a ship who wishes to protect it from the court’s power of arrest in Hong Kong waters (with respect to a maritime claim for which it is not responsible) should, therefore, seek to register its part ownership in accordance with the applicable laws of the port of registration. Similarly, a party advancing funds for the purchase of a ship should secure its claim by a mortgage registered against the ship.